Are you done with all that turkey during the holidays? 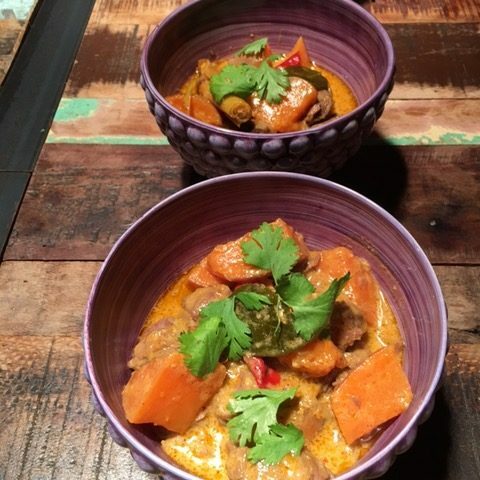 Why not try a curry with lamb for once, a recipe designed by chef Mai (www.instagram.com/maiandme). You won’t fail, we promise. 1. Put pan on medium heat and add garlic, red onion, lemon grass and kaffir lime leaves. 3. Add red curry paste and stir-fry well. 4. Add lamb meat and stir-fry well. 5. Slowly add the coconut milk. 8. If needed, add some more sugar and/or fish sauce to taste.